Canadians will spend roughly $2-billion on legal cannabis in the first year of legalization, according new estimates from Nielsen Canada. Nielsen’s number, which is considerably lower than earlier estimates from Deloitte and CIBC, is based on the results of an online survey done by the consumer data company between mid-December and mid-January. The survey, which reached nearly 6,000 people across the country, found that around 22 per cent of adult Canadians have tried legal cannabis since Oct. 17. Their average annualized spending on legal marijuana came to $310 per consumer. “There’s some people who will spend $300 on a week or a month, but then again, it’s talking about the average consumption over the course of the year," said Carman Allison, vice president of consumer insights for Nielsen Canada, who presented the data at a conference hosted by Food & Consumer Products of Canada in Mississauga on Thursday. The $2-billion number was arrived by multiplying annualized spending by the number of consumers, then logic checking these estimates against cannabis data from the U.S., Mr. Allison said. 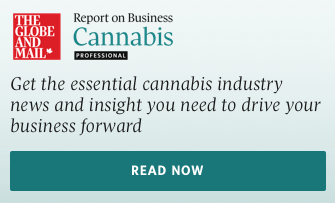 The survey – the results of which won’t be officially published until late February – is Nielsen’s first public foray into the Cannabis space. The company has also begun collecting cannabis consumer data using its Homescan Panel, which used by about 12,000 Canadians, according to Mr. Allison. Almost one third of Canadians under 35 reported trying legal cannabis. That compares to 23 per cent of people aged 35 to 44 and 20 per cent of people aged 45 to 54; the numbers are even less for older cohorts. While younger consumers may be driving early sales, Mr. Allison said U.S. data points to the increasing importance of older customers as a market matures. In 2015, people under 35 made up 65 per cent of legal recreational sales in the U.S., while consumers over 54 made up only 12 per cent of sales, according to data presented by Mr. Allison. By 2018, the under-35 cohort made up only 43 per cent of legal sales, while consumers over 54 made up 21 per cent of sales. “We have to pay attention to this [older] group, because yes, they’re slower to adopt, but they’re going to continue to fuel increases in penetration and also sales of this product into the future,” Mr. Allison said. Only 12 per cent of people from Quebec reported trying legal cannabis, compared to 25 per cent in the Maritimes, 23 per cent in Ontario and 23 per cent in Western Canada. The low number may have to do with age demographics, Mr. Allison said: “If you look at what per cent of households are 65 plus, it’s 25 per cent… Compare that to the rest of Canada, it’s about 19 per cent. So there’s already a bias in that marketplace because of that aging population, which tend to be not as favourable of [cannabis] usage." Early consumption of THC products considerably outstripped CBD-based products. Nineteen per cent of Canadians reported consuming a legal THC product, compared to 11 per cent who reported consuming CBD products. Thirteen per cent said they had consumed a hemp seed/oil product. “People wanting to get a buzz... is the primary driver right now of sales,” said Mr. Allison. He noted, however, that there’s considerably crossover with consumers trying multiple product categories. While 22 per cent of adult Canadians reported consuming legal cannabis, 28 per cent said they’d be willing to try it. The biggest potential growth area appears to be for CBD products; only 11 per cent of respondents had tried legal CBD but 20 per cent said they’d be willing to try it. Nearly four in five Canadians reached by Nielsen reported having heard of CBD, but most had very little idea what the product actually did. More than 60 per cent of people said that they “don’t know much” or “don’t know anything” about the compound. When asked what would influence their decision to try legal CBD products, 34 per cent of respondents said doctor recommendations, and 34 per cent said free samples. Likewise, 30 per cent of people said that being able to eat or drink a CBD product would positively influence their decision to consume it.